Can I add a PDF page to the existing flipbook project? I would like to insert a single flipbook page into an existing project without importing and design my PDF file again. Is there a way to add a new page to flipbook but still keep all the configurations I made on my pages (video, link and image have added into page)? Give me some advice! Thanks in advance! You can directly insert a new page to the existing designed flipbook without need to import PDF again. 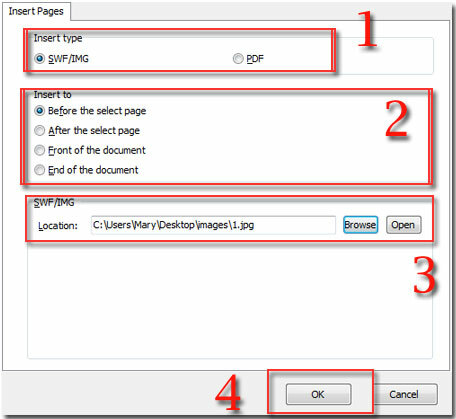 The type of inserting page includes SWF, Image and PDF. It is simple to do with using A-PDF to Flipbook Pro. Now look at the below step-by-step tutorial to know how to make it. Step5: Save and exit to template interface.